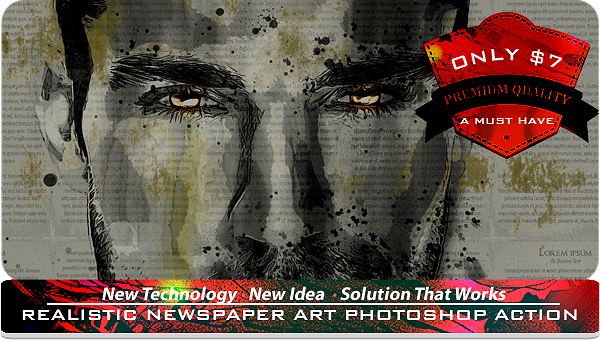 Ever thought about creating an astonishing photorealistic newspaper art with a completely editable text? You’ve come to the right page. This Photoshop action will take days + hours of work and bring it down to a matter of minutes. Unleash your creativity and become poetic as you create a beautiful paper photo effect with written messages.